Posted November 28, 2012. Athletes and those trying to recover from lyme and lyme symptoms! 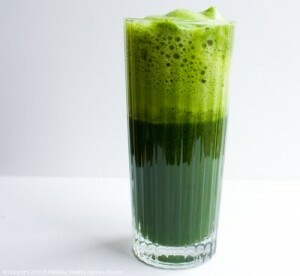 Green juice for athletes and to help beat lyme symptoms! Athletes love to indulge this time of year. In fact, the average American gains between five and 10 pounds in the time between Thanksgiving and New Year’s. So how do you balance the endless holiday treats and party platters with nutrients that support your offseason training? The answer: Juicing! As odd as this may sound, it can be a therapeutic break in a hectic day. The juice itself can be very tasty, or not at all. But the beauty of juicing is that you decide exactly what type of juice you are going to make, based entirely on your mood. Some days I feel like fresh apple, ginger and cranberry will do. On other days, something moves me to combine kale, garlic, and beet; a tequila-like cocktail that you won’t soon forget! Either way, you’ll quickly find that juicing provides a bit of a boost, which will make you feel healthier and happier through the holidays and throughout the year. There are two primary types of juicers: 1) the high-speed centrifugal juicer, and 2) the slow speed auger. I have, and like a lot, the slow speed auger. It is easy to use and clean, and is ready to juice anything you throw into it. For athletes, the benefits of juicing run pretty deep. Juicing fruits and vegetables provides a huge dose of phytonutrients (plant chemicals) in a very concentrated, easily absorbed form. This quality, alone, makes juicing whole, fresh, ripe, and raw fruits and vegetables one of the most powerful vehicles for achieving optimal health; upon which speed is built. Finally, fruits and vegetables provide one more substance that is absolutely essential for good health in athletes: water.